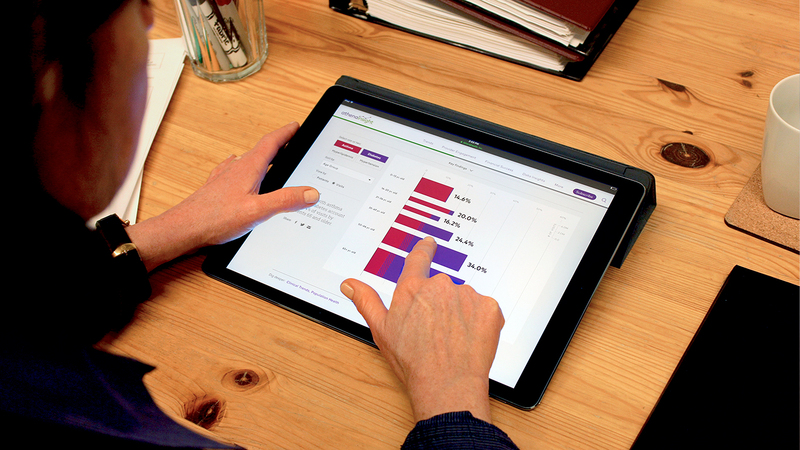 Visualizing athenahealth's data to present complex healthcare information in engaging, accessible ways. How can doctors use the information they collect to make better decisions for their patients and practices? 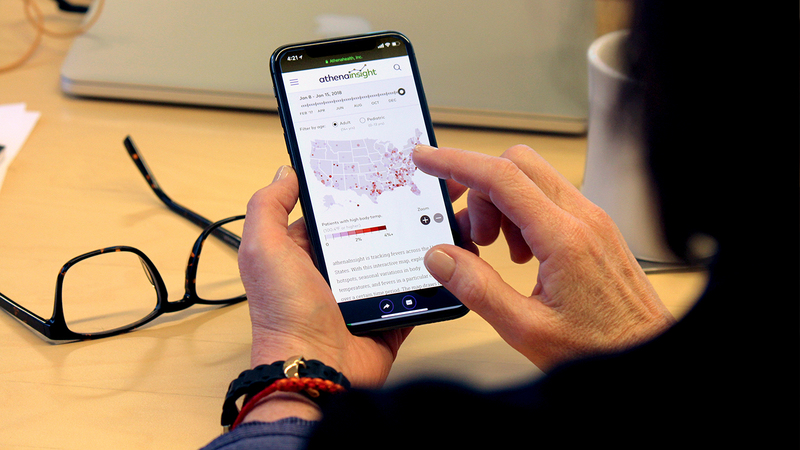 Athenahealth has unprecedented visibility into American healthcare, with data from over 85,000 providers and 80 million patients. 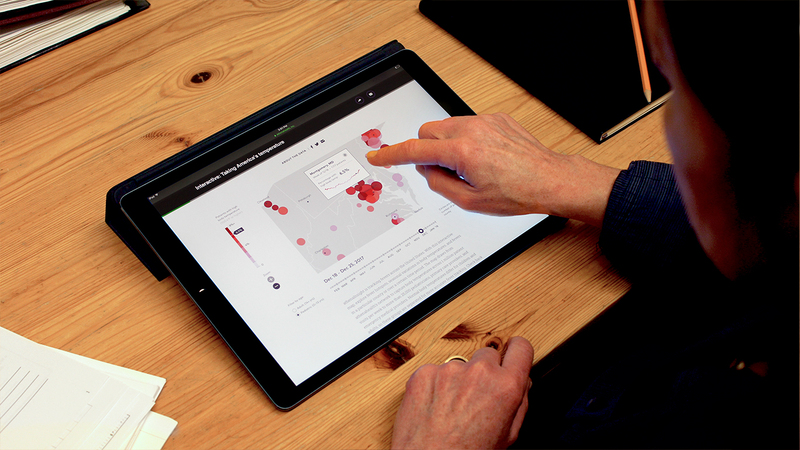 Sosolimited helped them make this valuable data accessible to the healthcare community with a data visualization platform. 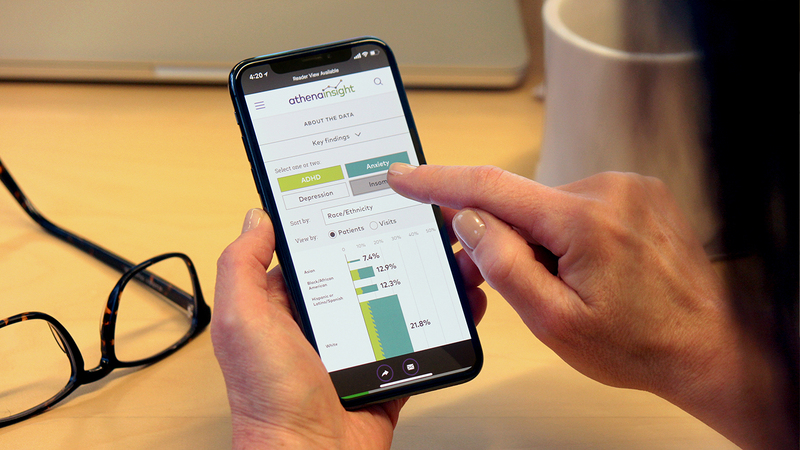 Sosolimited partnered with athenaInsight, athenahealth's daily news hub, to develop a data strategy that leverages their unique trove of data. As designer on the project, I helped create a data visualization style guide to establish guidelines for consistency and best practices for legibility, now applied across their site and communications. 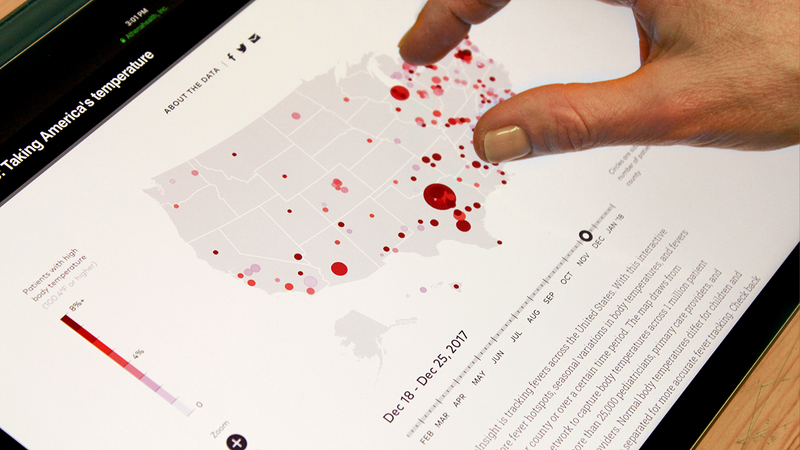 Interactive data visualizations present complex healthcare data in engaging, accessible ways. 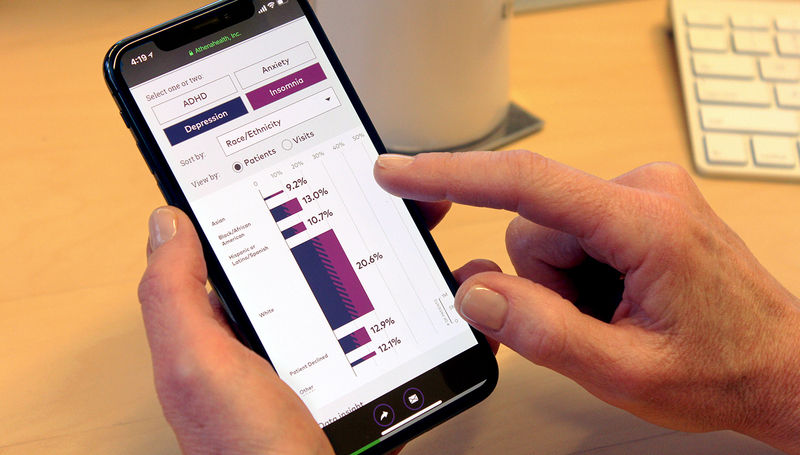 In the behavioral health and chronic conditions charts, interactive toggles and filters allow healthcare professionals to easily discover trends. 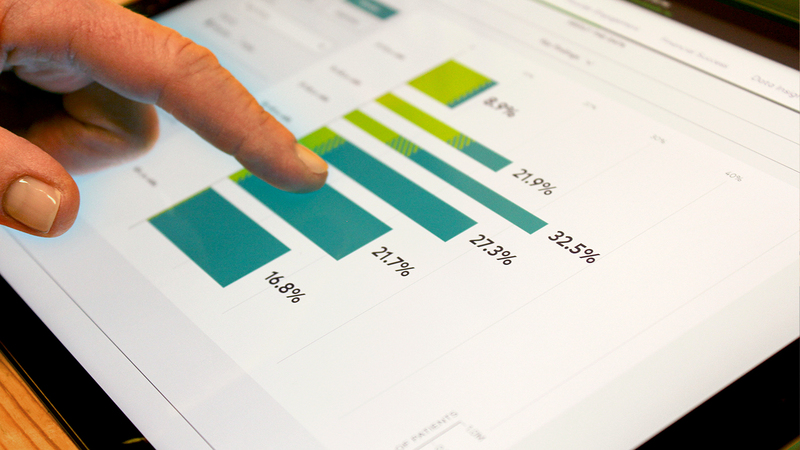 Users are guided to key observations and algorithmically generate shareable insights for every possible chart configuration. 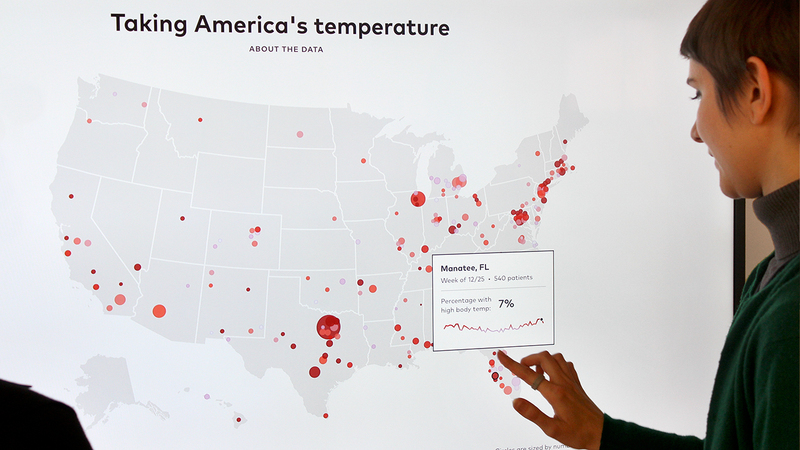 An interactive map of body temperature explores fever hotspots across the country, drawing weekly from athenahealth’s data from 1 million patient visits. 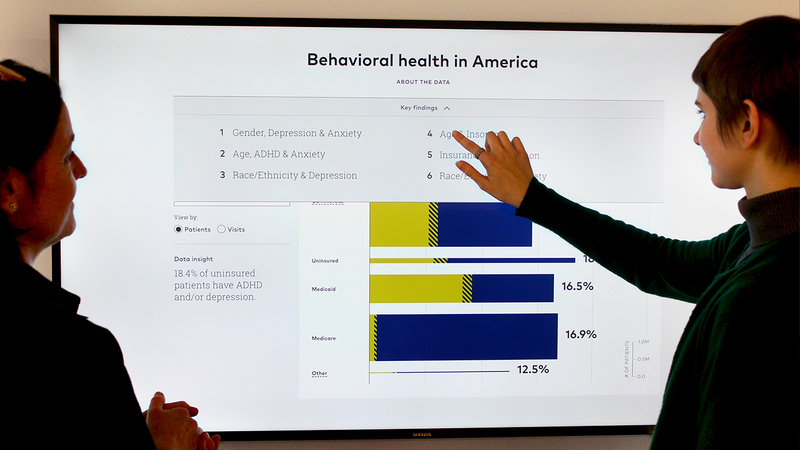 Looking at the data in this way improves our understanding of the healthcare system and connects professionals to the data-driven insights they need to improve care.